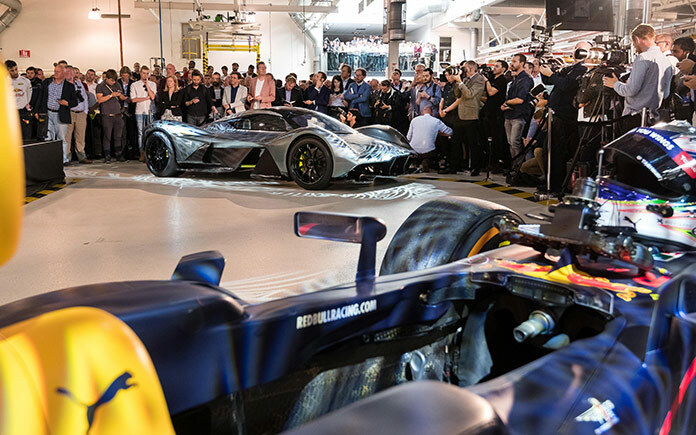 Enthusiasts for the cutting edge intersection of road cars and high performance track racing will soon have a new object of desire to salivate over. 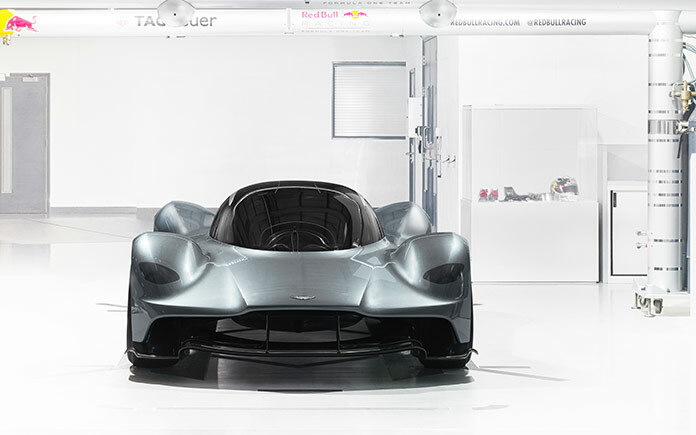 Aston Martin, one of the longest-established names in the rarefied world of exclusive British sports cars, has teamed up with F1’s Red Bull Racing to produce a new vehicle which aims to provide the very best of luxury road car comfort combined with extreme performance that wouldn’t be out of place on the Le Mans circuit. 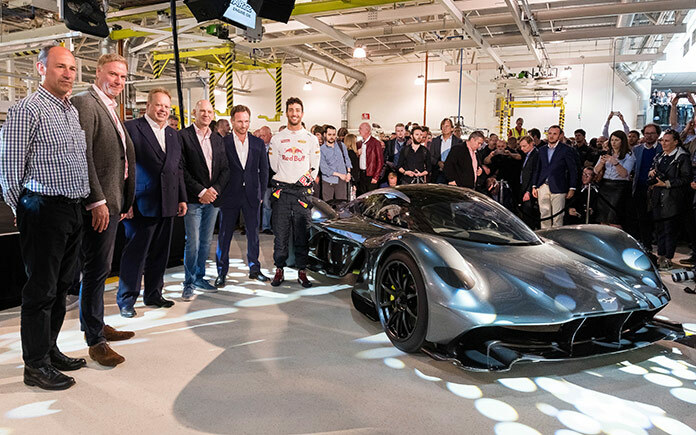 Dubbed a ‘hypercar’, but code-named with the slightly more prosaic label of AM-RB 001, the development model is the latest in a long line of collaborations for the British luxury sports cars manufacturer. Perhaps the most famous of these were the various Aston Martin Zagato models which first appeared in 1960, and have seen four further releases since, all achieving classic status. 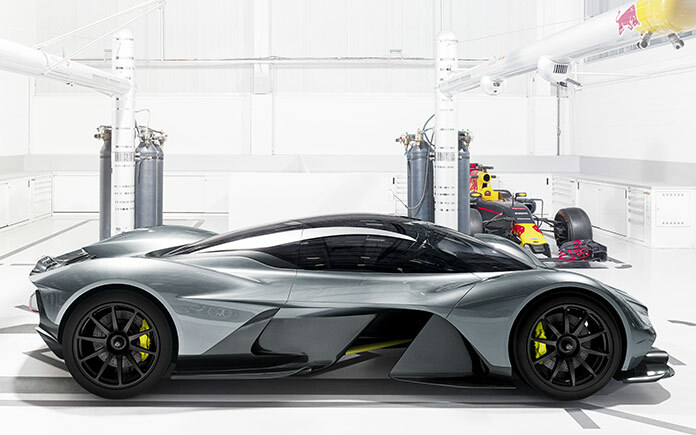 This latest joint venture has provided Red Bull’s F1 engineering legend Adrian Newey with the opportunity to fulfill his lifelong ambition of designing a road car, pouring his technical expertise into the development of under-the-hood power, while leaning on Aston Martin’s long experience of Gran Turismo design to produce a car that looks stunning as well as leaving lesser road car competitors in its wake. 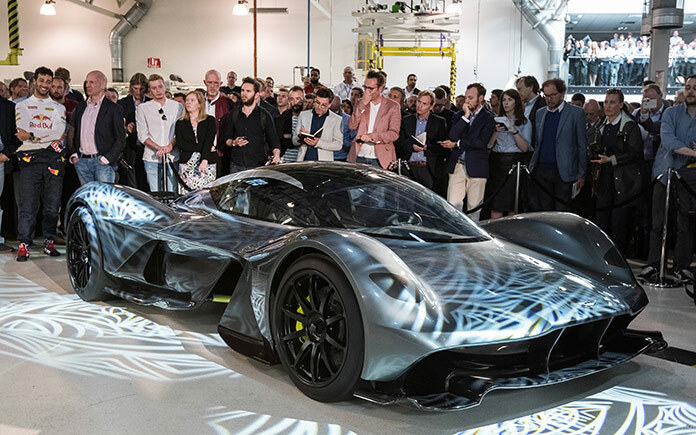 The final vehicle will feature a carbon-fiber based structure, sculpted to provide advanced aerodynamics reputedly beyond anything yet seen on a road car. 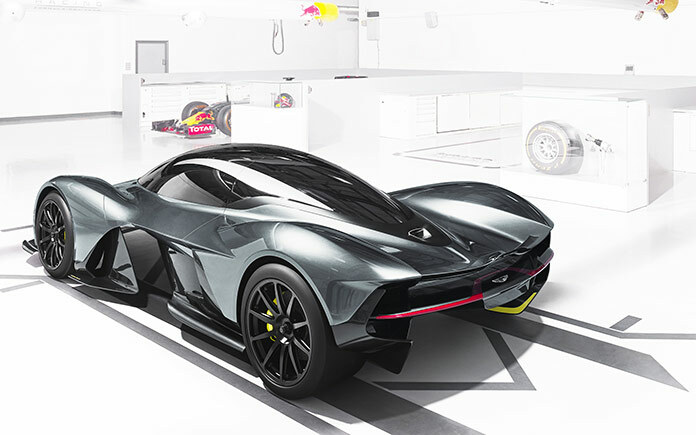 Much of the strong downforce will be generated through the design of the underfloor and chassis, using lessons learned from decades of F1 experience, leaving plenty of scope for the bodywork designers to give equal prominence to aesthetics as to aerodynamics. 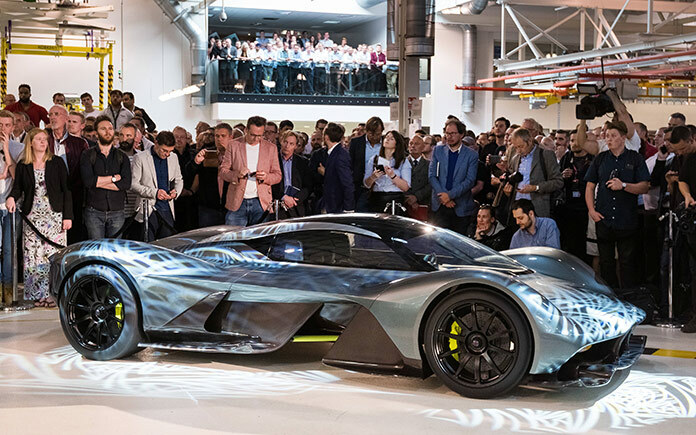 The result is a car that packs a circuit-ready punch while still retaining the recognizable style of classic Aston Martin vintages. 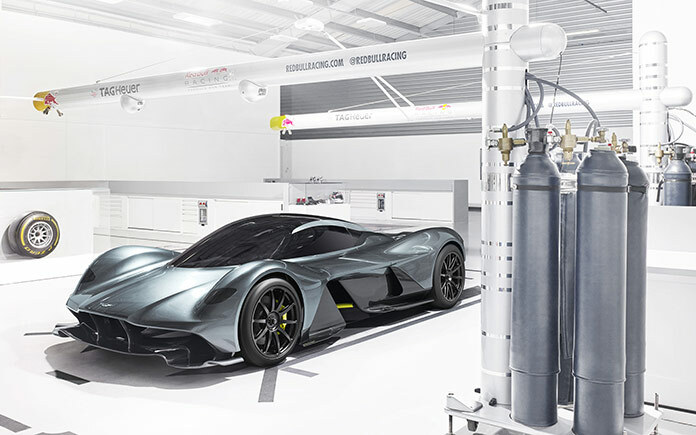 The aerodynamics will be supported by a self-aspirating V12 engine with an exceptionally high power-to-weight ratio, although full technical details are yet to be released. 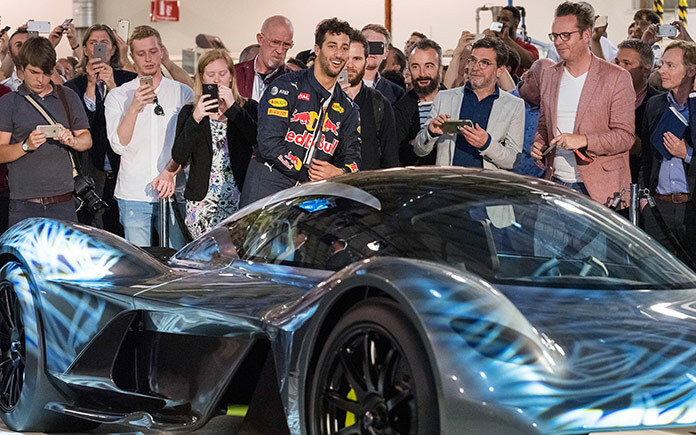 Nonetheless, it has been revealed that the car’s raw power will be balanced by an innovative new suspension design to ensure that drivers will not need F1 levels of fitness and stamina to enjoy a comfortable drive. 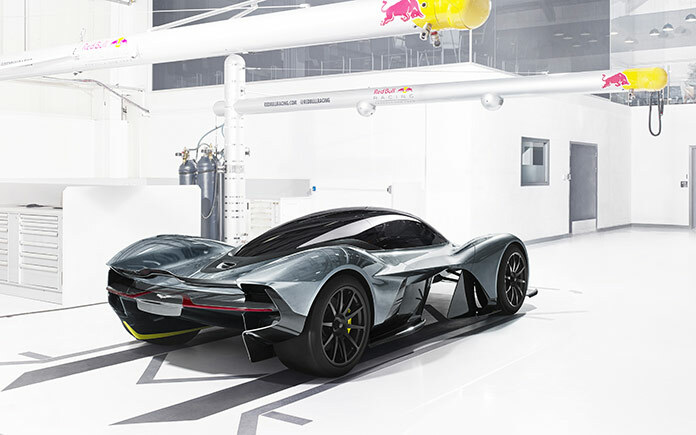 However, Aston Martin say that the AM-RB 001 will be also be available in a super-performance configuration which will forgo many comforts in favor of pure racetrack brawn. 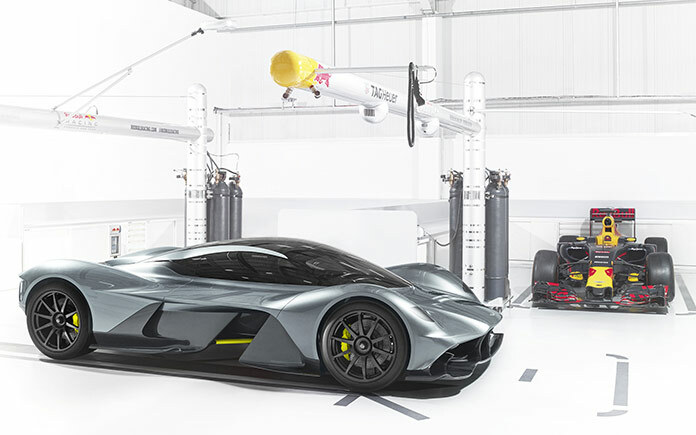 The limited run of between 99 and 150 road cars and 25 track-only models will be produced at the company’s Gaydon headquarters, situated in Warwickshire, Great Britain, a facility that’s already well known for producing such classics as the Aston Martin Vantage and other marque favorites down the years. Although the detailed specification and price are yet to be finalized, it’s expected that the first deliveries will be made in early 2018. However attractive this new model may be, the undoubted high price tag and the limited availability will put it out of the reach of most performance car enthusiasts, but a reputation for producing the most reliable luxury cars means that there is a thriving market for used Aston Martin models, providing a taste of luxury and sophistication that’s slightly more accessible, although still a dream to many.